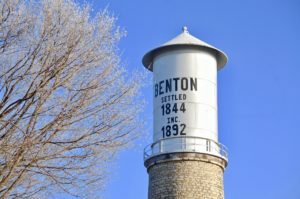 The Village of Benton is a not-for-profit, municipally owned electric, water, and sewer utility. A service may be requested by calling the Village Office at 608.759.3721. Billing questions may be addressed to the Village Office. The Village is currently working with the Benton State Bank to provide online bill paying for all village-related bills. This service will be available for residents of Benton, regardless of where they do their banking. Benton Municipal Utility Application (new Service).